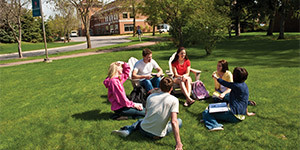 The College of Saint Benedict is a church-affiliated, liberal arts institution for women. Founded in 1913, it is a coordinate with Saint John's University for men. 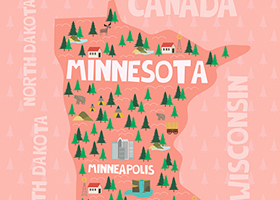 Its 300-acre campus is located in St. Joseph, MN, 75 miles north of Minneapolis. 300-acre campus in St. Joseph (population: 7,126), 10 miles from St. Cloud and 75 miles from Minneapolis-St. Paul. Served by bus; major airport serves Minneapolis-St. Paul; train serves St. Cloud (five miles). School operates transportation to St. Cloud, St. John's U, and St. Joseph.